I like the pretty pink pearls you used to decorate the Christmas tree. There's something really pretty about a Christmas tree decorated in soft pink baubles. Can you say elegant!!! 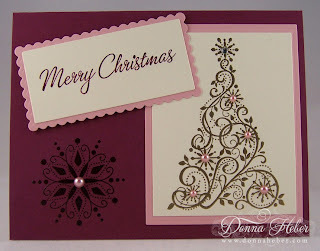 Donna, this is a gorgeous card ... love your pearls and the colors you used! So pretty Donna and very elegant! I just love it! gorgeous...i think i'll try this color combo too...thanks for the inspiration!! Love the addition of the pearls! Very pretty! Stunning card! Love the color combo and layout! 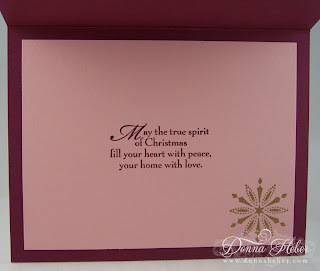 Lovely gold embossing! I like the inside too! Hi Donna I want to thank you for visiting my blog and leaving such great comments. Your blog is wonderful. I am enjoying the time I have spent here. You do great work. I love this card, so happy to see someone else likes pearls as much as I do. 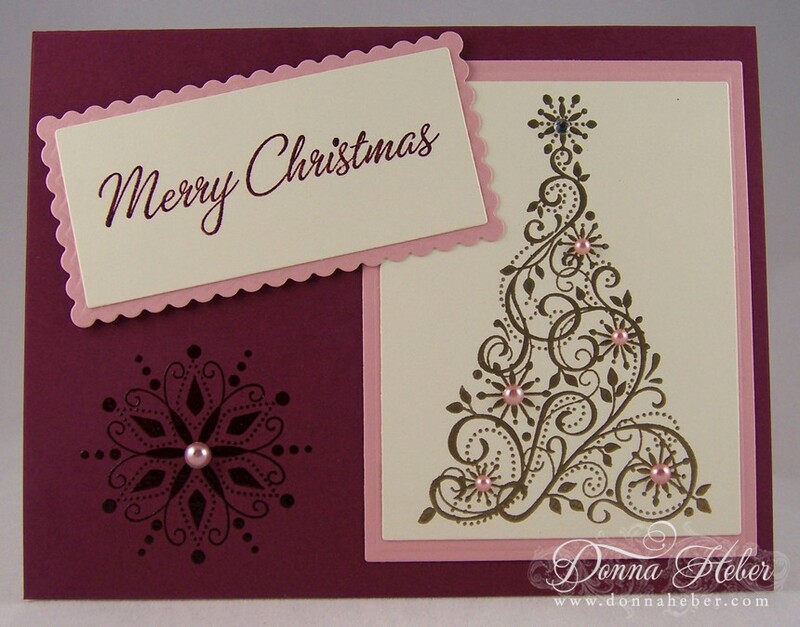 This is so pretty in the pinks...your additional pearls and rhinestone add the perfect finishing touch, Donna! Donna, you are right. That color combination is gorgeous! I love that stamp set and am using it tonight with my stampers. Your card is very pretty. Love this in pink and love those beautiful pearls.